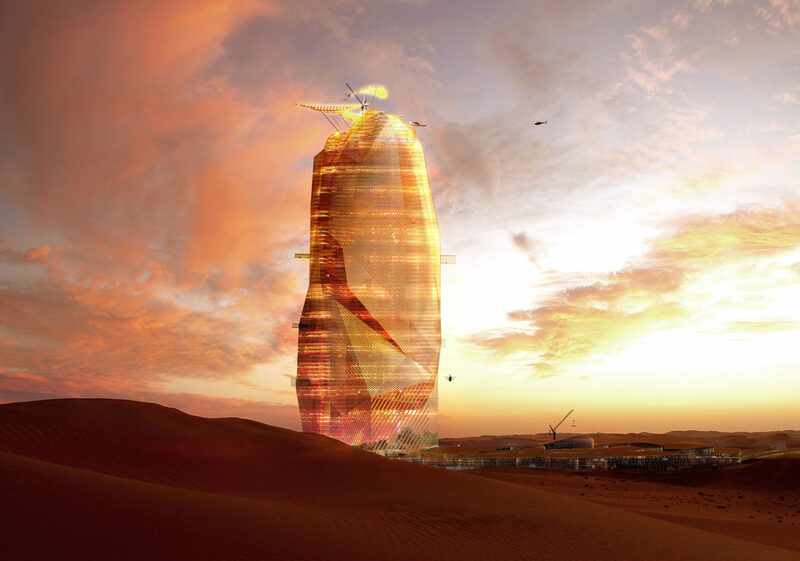 French architectural design firms Nicholas Laisné Associés and OXO Architectes have put together a concept for a huge arcology in Morrocco, in the Saharan desert. La Tour des Sables would be a self contained city that rises 1,400 feet above the ground. This would include space for living, agricultural and working units. They have mentioned 2025 as a date to begin building. Whether or not this stunning design actually gets built; this is a fascinating look into what large eco- sustainable buildings could look like in the future.